enter to win a rug (up to $800!) from pink rug co! they have so many vintage moroccan rugs with unique designs. love these graphic patterns on these. click through below to enter, good luck everyone! 1) visit the pink rug co and take a look around! 3) leave a comment on this blog post with a link to your pin of the rug!! one winner will receive a rug of their choice valued at up to $800. the winner will be chosen on april 13th at 10am PST. open to international readers, yay! one of these times i’m going to win!! fingers crossed! – This rug would be so perfect in my home, which is more neutral with pops of bold colors. It is white, but not boring or neutral. The design and the colors make it creative, unique and an amazing touch for the house. I picture it underneath the wooden dining table! Beautiful! Love the graphic black and white rugs. LOVE this one but it took me forever to decide because they are all beautiful! Thanks for sharing this great source! especially love this one! it would be a great addition to my new apt! This one is just my size! The lush red home decor of my dreams! Well I pinned several, coz I love so many of them!! Desperately needing a rug in my living room – this gorgeous rug would be stunning!! looooooveee this!!! So many other beauts, too! These rugs are so incredibly beautiful! I could spend so long looking at this board! These rugs are incredible, love every single one! So mug rug envy. THIS RUG, THO. GET IN MY STUDIO, PLZ. Wow what a great giveaway, thanks. What beautiful rugs! It’s hard to pick between something neutral and something colorful but they’re all fun! Absolutely love the pink pops in this one! All of them are so amazing! I am color obsessed and this Summer Fields rug totally hits the spot for me! They are all just gorgeous but this one is the perfect size and color! 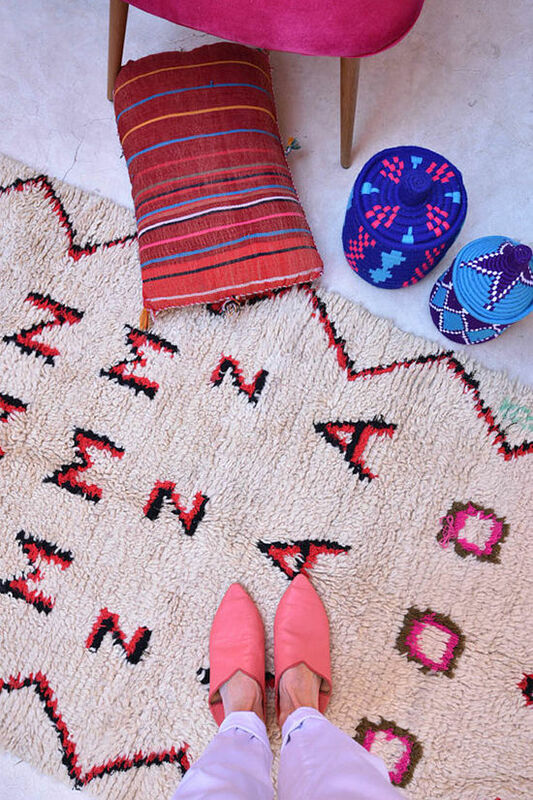 Pink Rug Co’s boards make me really really want to take a trip to Morocco! I hope this time I’ll get one! I’ve been searching for months for the perfect rug for our living room… currently we have all hardwood floors in there. Need something with a cozy feel! It was really hard to choose, but love this bright one! Love them all, ESP this one. Patels are so on point right now. I mean, right? Wouldn’t that rug brighten your day? LOVE these! Pinned, pinned, pinned! so hard to choose just one! Love this dark salmon color and pattern! I loved this one! SO pretty. Love, love all their rugs!!! Absolutely in LOVE with the HOW to READ the AIR Boucheroite Rug! Putting all of the good vibes into the universe for this beauty (heart eyes). fingers and toes are crossed!! Love them all!!!! This is mi Pin Crossing my fingers! Love, love, love moroccan rugs!!! Love the design on the Sand furrows and seashells rug. So minimal, but still unique. Each one is so unique this is fabulous! SO good. Love these pretty, unique rugs! So exciting! 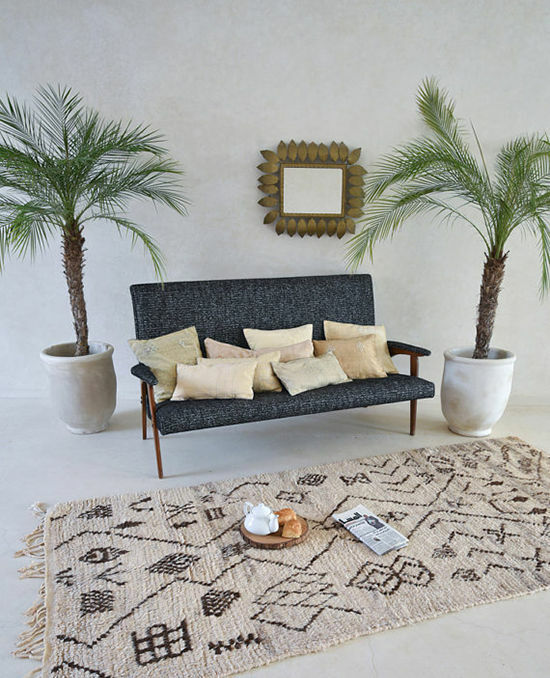 I’ve been looking online all week for a Moroccan rug for our living room, and I’m so happy to have found this company! O M G these rugs are dreamy! If this isn’t the most unique, beautifully multi-colored rug ever, then I don’t know what is! I just imagine my neutrally colored living room, with this vibrant piece being the focal point, and I swoon. Would love to display this beauty in my home. duh, here’s the copy of the post. The SURREAL ENTWINED MOONLIGHT rug is giving me alllllll of the feels. I mean let’s be real, every single rug gives me all the feels. They’re so beautiful!!! Love this rug for my kid’s room. They recently started sharing, this would be wonderful! it would be an absolute joy to win this rug! i am rug obsessed and i am so glad i came across this giveaway. because even if i don’t win i will likely purchase from Pink Rug Co.! such an amazing selection of pieces. I want every single one! This one is graphic and dreamy all at the same time! so happy this is open to international readers as well! been dreaming of having a beautiful Moroccan rug in my studio, so fingers crossed! Looove the colors and pattern on this beautiful rug! Fingers crossed! These are such beautiful rugs! They are all so amazing! Someone is very lucky to win this one. Amazing! Is this the one you have in your bathroom Bri? I just saw a snap of it on insta-stories and I spent the next few days frantically searching for them! Love this site! Thanks so much! I DIE! All of these rugs are fabulous. Thanks for sharing Bree! This one is my fav. Eeek, I love too many of these rugs! Love this rug!!! Also need more in my house to cozy it up! Wood floors are great but definitely not soft! Classic, beautiful and elegant. I know I would love it forever. Love how funky & fun these rugs are! I’m a newly established florist and woud love one of these babies in my home office!!! This rug, HANOI AFTER DARK, is amazing, actually all of the rugs are amazing. I’ve been looking for a dining room rug and this one, amongst others, is perfect. I love this color and it looks so soft! Oh god, please pick me. I’m in love with all of these!!! I would love to see this rug in my hallway! I think my heart emojis messed up my link haha. THESE ARE SO BEAUTIFUL! You deserve so many followers! Absolutely beautiful work. I am feeling this rug big time! Omg so beautiful!! I’ve always wondered where you found your fabulous rugs. Omg this one! Please let me win! We’re about to move in June and this will be perfect for our new space! Holy cow, I didn’t even know I needed this rug, but now i do! LOVE this design/print! All of this work is beautiful! Dying I have to have this!!! The VATNAJÖKULL ICE rug is so beautiful! Love this amazing giveaway. they are all so gorgeous but this one! holy! I adore this rug and decor! Pink Rug Co. rugs are so dreamy 🙂 Thanks for the opportunity to enter! Wow I love all of these so much! I’m moving into a new apartment with my boyfriend, and this rug would be perfect! im obsessed with all of their work…literally praying for this give away! Beautiful selection Pink Rug Co.- hard to pick a favorite! I would LOVE this rug!!! This rug is literally what I’ve been looking for! Looks so comfortable to sit on, or to do my work (i love working on the floor). This rug has a future in front of our bar! So fun to look through these beautiful works of art! This is my pick! Wow! So hard to choose, they’re all beautiful! What a fantastic giveaway! Love so many of these! Nothing beats the magic that a a statement, one-of-a-kind rug does to a space! Creativity and zen galore in these pieces! Here’s my fave, although I couldn’t help but pin several! Love these all so much! Absolutely beautiful! you can hardly choose just one! OH MY GOODNESS YES!! Need this in my life! Sigh, this one! All the colors! It was so hard choosing a favorite!!! Every single one is so beautiful!! What an amazing giveaway! I LOVE Pink Rug Co.! I always recommend them to my interior design clients since they have such a beautifully curated selection– so I was so excited to see the giveaway! This would look so cheery in my new place! Wonderful giveaway! Have been looking for a good rug for a while, this one is amazing! STUNNING RUGS. Boy would I love to have one of these beautiful pieces of art lying on the ground in my home… Vibrant. Soft. Electric. So many words so little time. I. Ebeyond grateful to snag one of these! Thanks for sharing! Love these rugs. Thanks for the giveaway! I love love love the combo of mid-century mixed with bohemian vibes from this rug. All!! Hard to pick just one!! Yesterday we just closed on our very first home! A midcentury Wexler design, in the desert near Palm Springs. After paying the down payment, it will be a long while until I can save up to put the finishing touches on it that I’m longing for. This rug is perfection and will tie my Moroccan / Bohemian / Midcentury theme together perfectly. I’d love it so much! hard to pick when they’re all so beautiful! morocco is very special to me so it would be a dream to win. thank you for the opportunity. pink rugs are my jam! Love the colors and textures on this rug. I aspire to be an interior designer one day and fell in love with the vibrant and bright colors in this rug!! I’m loving the crazy colors in: It would be a great conversation piece in our blue & earth tones filled home. I just moved into a new tiny NYC apartment and am decorating my bedroom in warm neutral tones and would LOVE this rug!!! Love this rug, it’s just perfect! Love this more then anything! And winning so close to my birthday eppppp. A dream! All of the rugs are dreamy. This one is my fave pick. This rug with a pop of color! LOVE ALL THINGS PINK! Pick me! My husband and I could really use this super chill rug for our first home! Pick us pick us! These would be so perfect for my front entry! Just bought our first home and any of your rugs would make it feel so much more complete 💕 In love with them all! hard to find one favorite!! but I love this one because it has little details and pops of color that can be tied in to almost anything!! Obsessed with these rugs…all gorgeous! My boyfriend and I are redecorating our space, the rugs would be perfect for our living room! Here’s hoping we will win! I’m buying my first home by myself, I would love to have a beautiful rug as the centerpiece! Love so many of these rugs, but this one has to be my fav!! I loved them all!! So beautiful and unique. Totally dying over this one! I wanted to pin them all!!! I have always dreamed of owning one of these beauties! Their distressed rugs and disappearing design rugs are by far my favorite Moroccan rugs I have seen thus far! Would be a true treat to adore one of these guys in my home one day. This one would be amazing in many different spaces (entry, kitchen, stairs, narrow living space, bedroom). So versatile! They are all so magical! Me and my husband are IN LOVE with this one for our new place😍. Love the texture and colour in this one! I pinned so many of them – what can I say, I am a photographer, graphic designer and interior design junkie. When it comes to pinning good looking things, I can not stop ..
It’s fascinating to me how much home decor can affect state of mind. Seemingly unnecessary objects can evoke wonderful memories, and provide inspiration to create even more. 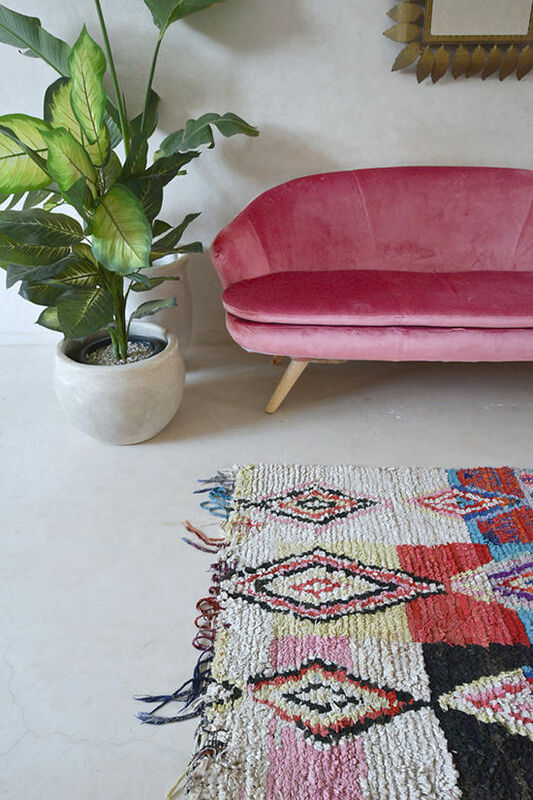 I aspire for the objects in my home to positively influence anyone who walks through my door, so I am extremely excited by the opportunity to potentially win one of these dazzling boucherouite rugs on the journey to cultivating my personal style! The colors are making my heart swoon! I would love to curl up on this rug with some tea and a book! These rugs are ABSOLUTELY gorgeous! It was so much fun checking them out on Pinterest and their Etsy page. Thanks! Oh goddd… too many ones I like! If I had to choose one, I would choose the one that best suits for my room. The theme of my room is boho chic minimalist! This one would be the perfect missing piece in my room! Cross fingers! In LOVEEEEE with these one! these rugs are GREAT !!!! so cozy and fun! Gorgeous rugs! Thank you for the opportunity to win. Such a fan of these darling cozy and colorful morrocan rugs!! My heart aches💔🙈with wannnnt of the perfectness… Mend my heart make my living room rug dreams come true?! ?🛋<<needs a rug! 💕Good luck all! 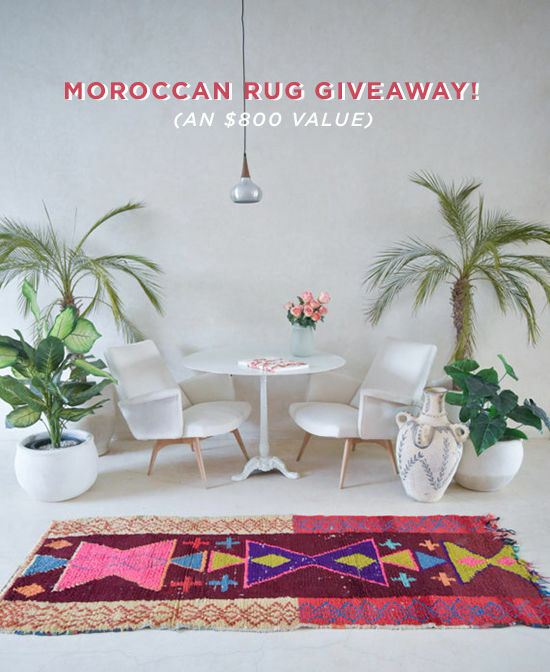 Amazing giveaway – what stunning rugs! I love this one with those beautiful pink jewel tones. This one is my fave and would look so rad in my living room! In love with this one: , fingers crossed!! I love them all so much. Yay for an international giveaway! Just pure beauty. Fingers crossed. This guy would be perfect for my room… fingers crossed! Hi I can’t for the life of me pin this – I still want to enter and say the first featured rug in this article is a dream. I grew up with shag, my baby and I need flooring and rugs so badly and we are mega fans we took selfies at target next to your suitcases . Please consider this entry ! Love love love these rugs!!! Great giveaway!! I adore this rug 🤞Thanks! All of the rugs are gorgeous, it’s very hard to choose just one. This one would look amazing in my room, though! Auwhh! Beautiful rugs… too many of them! Hahah, love the colours of the rugs! Can I pin more than one?? They’re all incredible! The ones I really liked in their Pinterest were already sold except for this one. I couldn’t find this beauty in their Pinterest, but it’s so pretty & available in their shop! Thank you for this opportunity! It is so crazy to know of this beautiful company that can produce such beautiful,individualist rugs. This one i chose is so so beautiful with the designs and pops of reds. i know it will add so much character to my living room. a place where my husband and i love to have family and friends over to build community! so hard choose, but i am loving this one! Such a lovely giveaway, thank you!! I had a hard time picking just one, but this would be my absolute fave: . Just love the pattern and it looks so soft! They are all so beautiful it was hard to pick! I have always lusted over the rugs in your home! So happy to look through all of their lovely choices! Love this one but they’re all so beautiful! These rugs are so beautiful. These are absolutely the most magical rugs!!!!!! I could not even explain how it would feel to have this in my home! It would create the greatest energy! Thank you for your talent! So beautiful, thanks for the giveaway! Ugh, this rug is perfect for the aisle for my wedding! It gave me anxiety picking just one! These were absolute gems, loved so many of them! Fingers crossed 🙂 I LOVE them all! SERIOUSLY OBSESSED WITH THESE RUGS! I’ve been following Pink Rug Co on Pinterest since the last contest, LOVE every single rug. I grew up in the Middle East so these rugs are an especially lovely reminder of that for me. It was extremely hard to choose (and I would literally love any) but I chose this one because everything about it is happy and FUN!! For the past year my partner and I have been decorating an early nineteenth century gardeners cottage. The cottages were built for the gardeners of the Earl and Countess of Darnley, and are shrouded in history and Kentish beauty. We’ve been struggling to find the perfect rug for our dining room and this would make the most perfect addition, pulling all of our work together. Truly beautiful work. Any of the rugs would be a perfect addition to our home as a newlywed couple! I’ve always been obsessed with the rugs in your home!! These are wonderful. Ah there was SO many amazing rugs I loved!! this one is just too good!!! Would be just perfect in my soon to be baby girl’s nursery!! I love em all it was hard to narrow it down to just one! Love love LOVE this rug! <3 <3 <3 <3 those rugs are so dreamy! All lovely rugs, but my eye was drawn to this one in particular! I love so many of these rugs! Any of them they are all so beautiful! Thanks for opening worldwide, always appreciated from your Northern neighbors! These colors and patterns are so joyful! I would love to be a proud owner of one of these rugs! Love this one, as well as about all of them..
Their stuff is so gorgeous! Just discovered your blog and love your style! Plus I’m always discovering great new things because of your work. Thank you! It was so hard to choose which one to pick! These rugs are beautiful and any one would make a great addition! These rugs are like sprinkles atop a delicious slice of cake, except the cake is your house. I love sprinkles!! Incredible rugs. Perfect to compliment my partner’s style with mine (and for future babies and our new home). Never had a rug to call my own and feel so inspired by all of them… Have to say that this is my fave because the colours speak to me and this combination- transition of the pattern just goes to show that it doesn’t have to be the same to be complementary and perfect. Love! Difficult to choose — love so many of them! I love so many of the rugs!! So hard to choose a favorite! this is my absolute favorite, love the colors! one of these days I will hopefully win! Yay! Oh I need something new for my bedroom!! I love this one sooo much! The Moonflowers rug is beautiful! I LOVE LOVE LOVE LOVE THIS ONE!!!!!!!!! THESE RUGS ARE GIVING ME LIFE!! I need this rug in my life! I love all of these rugs! I found one for every room. Thanks! 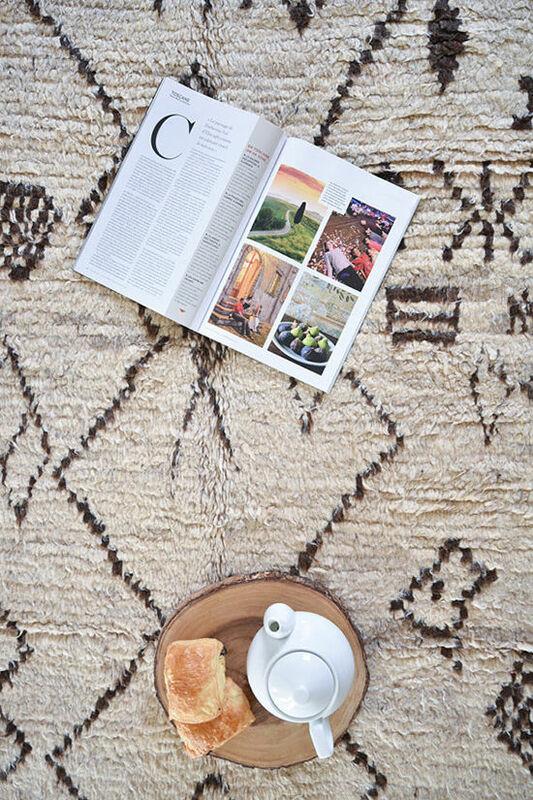 The name of this rug is one of my favorite feelings – Sand Between My Toes. This would be the most special birthday (4/14!) gift, as this would be a piece I know I would treasure always. But this one is exquisite! I absolutely love the idea behind the art going into this, that the Berber woman creates a light-filled atmosphere through an identification with nature and its rhythm, and by tapping that spiritual connection with the subconscious that allows her to express herself in her own language. My boy and I just moved into a new apartment this past weekend. A new rug would help us out sooo much! Who know these babies were so expensive? All the rugs are stunning!! I love The PUFFINS OF VESTMANNAEYJAR 7’6 x 4’5 . So pretty!! Ohh, they’re all so beautiful! I love the Twilight in Venice rug — the little pops of gold is beautiful! International readers, rejoice! Please let a colour-loving reader from Australia win for a change! I <3 so many it's hard to choose! Love all of the deep hues in these one! This would be the perfect pop of color for my otherwise white room! Look amazing in my dining room! obsessed with all of these! oops, i added the wrong link in my last comment! Im also loving this rig on ! So many perfect rugs to choose from! Yay for international giveaways! These are beautiful rugs by the way 🙂 Had a hard time choosing just one! Too many to choose from!!! Pick me so I can roll around on one of these beauties! This is the best giveaway ever. I adore this rug. So hard just to pick one. Love all of Pink Rug Co.’s collection! I’ve been swooning over this rug for weeks!!! These are so beautiful!!! Fingers crossed I win! I especially loved this rug! love the touches of greens/blues on this one! So many to choose from, and they are all amazing! This one though, would be perfect for my entry hall! GRAPHIC, RICH, and MOROCCAN who could ask for anything more?!!?? These rugs are my new obsession. Well not new but getting more obsessed with the selection at pink rug co…The colors!!! Rad rugs! Love to use them on the floor and on the walls!!! Link to my pin: . Thanks!